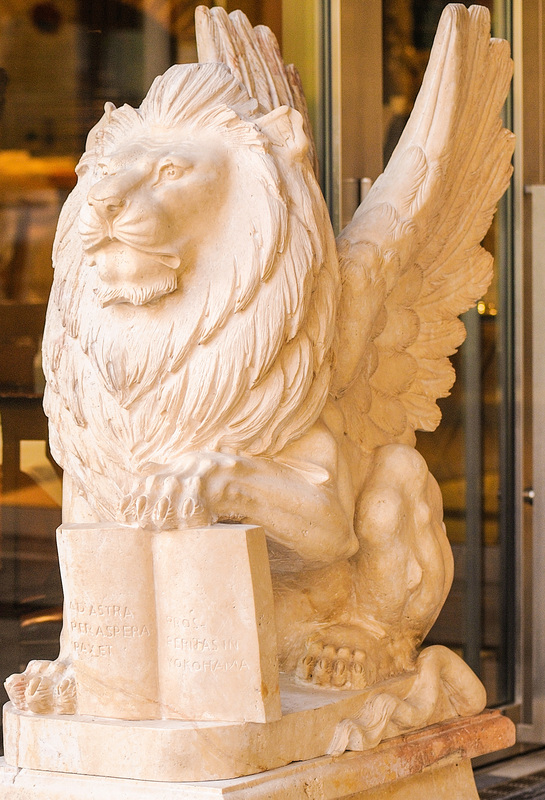 Once you get into Leone Marciano, you will feel as if you are wandering into a real Italian eatery. You’ll be welcomed by our friendly and professional staff. In bacaro, you can enjoy some "Stuzzichini" with appetizer like in Venice. 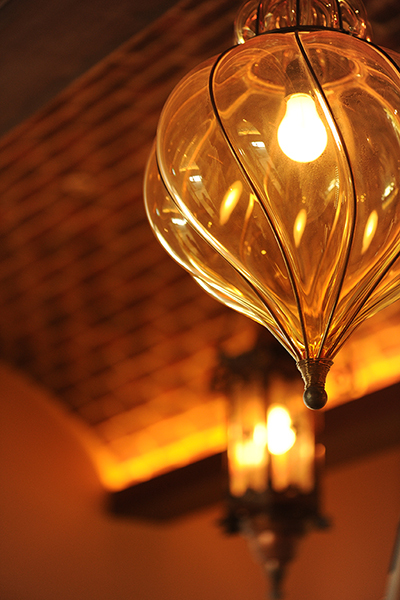 The dining space with Venetian style décor gives you a spacious and convivial atmosphere as if you trip over to Italy. In Leone Marciano, we strive to be the real and best Italian restaurant in Yokohama has to offer. 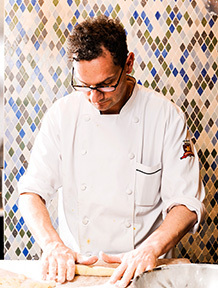 The Chef Paolo Mazzini has been serving authentic Italian cuisine in Minatomirai over 10 years. Delight yourself with his homemade and handmade pasta. Fish and lobsters are also fresh in Aquarium. Enjoy a selection of unique and exciting dishes appealing to all palate. Our pasta consists of two different types. 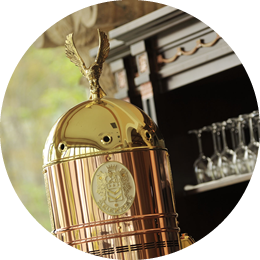 One is made by pasta machine imported from Italy, using 100% Semolina flour. We could make a variety of pasta using different dice, from spaghetti, linguine, rigatoni etc... The homemade pasta is totally different to dry pasta, it has more elastic texture and taste better. The other one is handmade pasta, using different utensils and recipes. Paolo learned his pasta from his Mamma, and mamma from Grand Mamma. You can taste different texture and form of pasta such as Strozzapreti with Salsiccia and tomatoes, Tajalin with truffles, Corzetti for Genovese. All these pasta are handmade and regional. 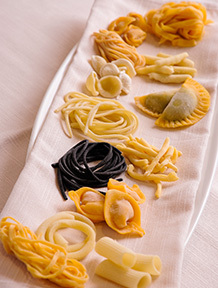 You can feel Italian region according to your selection of our pasta. THE DÉCORPractically all The décor are from Venice. 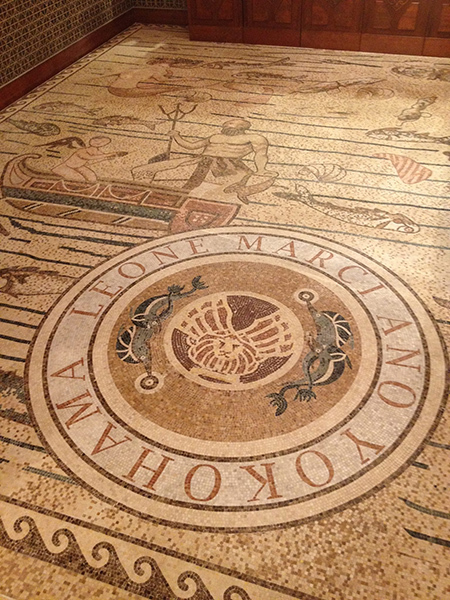 From Iluminations, floor, marbles and furniture are more than authentic. Please enjoy the real Italian atmosphere! 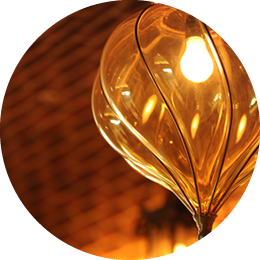 Lanterns are made in Murano Island, where the glass artisans still makes glasses with traditional artistic methods developed over hundred years in the island of Murano. 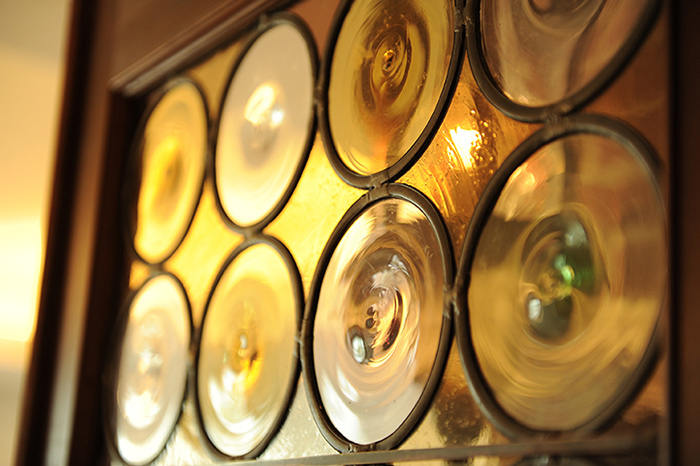 Rondels are mouth blown glasses, originally used to make most of the glass panels in old era in Venice. 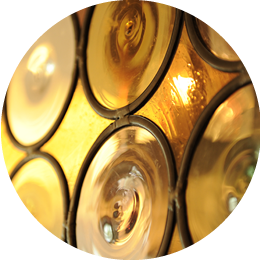 All these glasses are also from Murano, and assembled and soldered to glass panels by the patron Hibio. 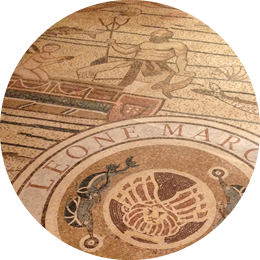 The mosaics in bar derived from the floor mosaics of Basilica in Ancient Roman era in Aquileia, 60km east to Venice. 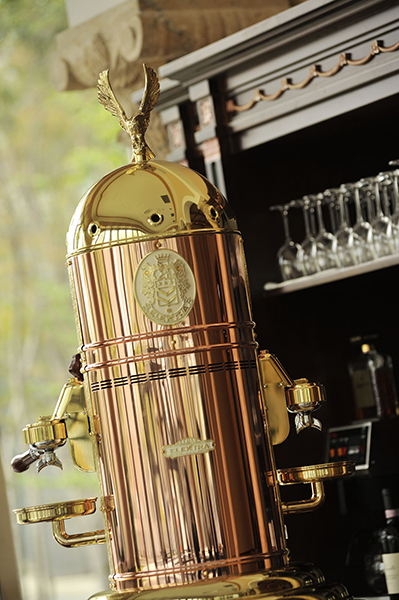 ELECTRA "Belle Epoque" The antique style coffee machine Belle Epoque from Veneto region, procure real Espresso! The Private room, Sala Gondolina provides privacy with personality; the ideal venue for intimate supper. The view to the garden are also special. Maximum 10 guests. Copyright © 2017 LEONE MARIANO, Inc. All rights reserved.